Yes it does! Read on to see our top 4 reasons why! As a small business, your resources are limited and likely, stretched. Bots automate repetitive and mundane tasks, such as answering customer enquiries, without losing the personal touch. This frees up your team’s time allowing them to focus on more value-added tasks. Talking to over a 100 restaurants in San Francisco Bay Area, we found that they receive dozens of queries and orders via phone, despite having a website and/or working with a 3rd party delivery service. A lot of this has to do with Q&A format and personalization – I have a question that I’d like to ask, and I want an answer. Websites and apps contain an overwhelming amount of information and as a hungry customer, I don’t want to be clicking through a bunch of pages trying to find an answer. The Food and Beverage section in the Discovery tab of Facebook Messenger. It's time to get more small businesses on here! In relation to the previous point, a chatbot is available to engage with customers 365/24/7 and each customer is served instantly. Having a social media page where no one responds, or responds after many hours, is like having a phone at your location that no one answers. As a small business owner you mostly likely can’t afford to offer round-the-clock support. However, according to a recent report in VentureBeat, 51 percent of people believe a business must be available 24/7! Chatbots enable this. We posted jobs for small business customer support / live chat agents, on two of the most popular freelancing sites, Upwork and Freelancer and found that the chat agent or virtual assistant cost between $3 – $15 an hour, nevermind the cost of training and managing human resource! On the other hand, a chatbot is free! In fact, moving beyond the aforementioned statistic, think of the positive impact this will have on your foot traffic and online conversions. For example, I’m trying to decide where to eat out tonight; I’m really craving your pizza but I’d like to know about nearby parking, if you’re open for an early dinner and if you’ve got gluten-free variety. I quickly realize it’ll take me navigating 3 different platforms to figure this: Yelp, google maps and your website. I give up before I’ve even begun. 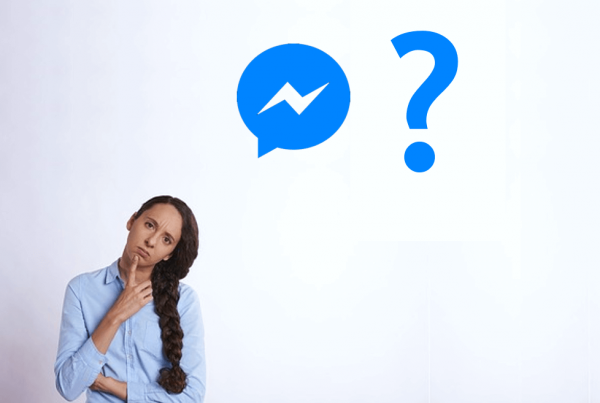 Versus on a chatbot, I’d be able to ask and get instantaneous answers – as well as order – on a single platform. The Natural Language part (i.e. automated responses) can get as detailed as you want – discuss that with your chatbot developer, or ask me in the comments section below for more guidance on how to go about it). 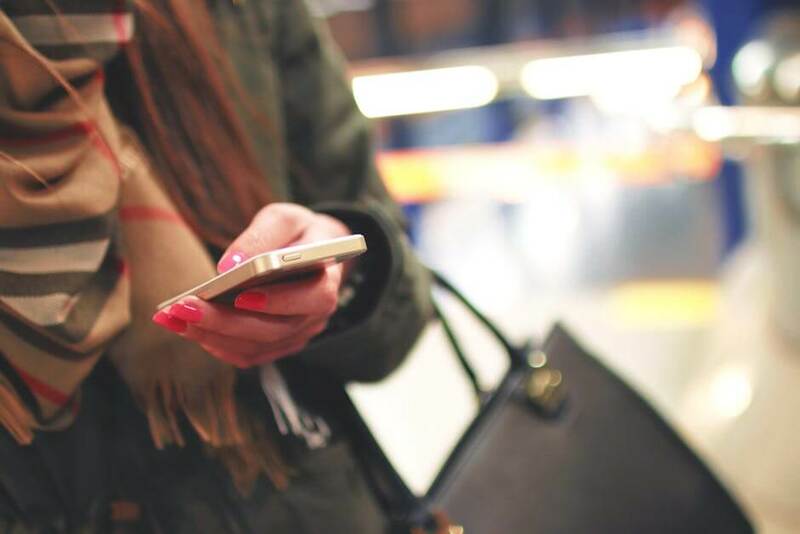 Chatbots have significant advantages over traditional online ordering platforms that make them more appealing to today’s consumers and potentially more effective as an ecommerce tool. For one, a chatbot gives you instant access to the 1.8 billion people using messaging apps. Facebook Messenger is the No. 1 app in the US and with a userbase of 1.2 billion users. Secondly, convenience is key to driving sales: the easier it is to order, the more likely a customer is to order. Moreover, the easier it is the order, the more often a customer will order. Chatbots in particular are very low friction with incredible ease of use. What do I mean by ‘low friction’? Well think of all steps involved in ordering from a website or app: open the website, create account/login, navigate pages etc. It’s terribly tedious right? These are ‘friction’ points and you lose customers each step of the way. Chatbots on the other hand are intuitive and low friction. They run on messaging apps which most people already have installed on their phones and language is well, the most natural interface to humans! Moreover, they can drastically reduce the number of steps from start to finish. 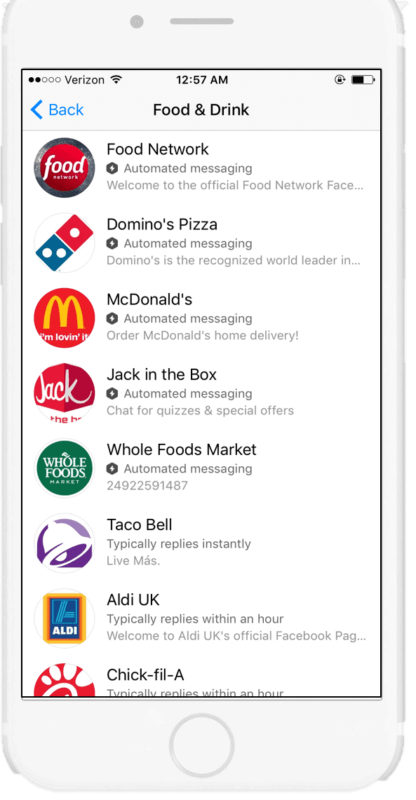 For example, at Zebo, we reduced number of steps to checkout for a fast food chain from 18 (on their website) to 8 on a Messenger chatbot. A well-designed chatbot can handle complex menus, customization’s, take advance orders, upsell products and indeed, provide an app-like experience. 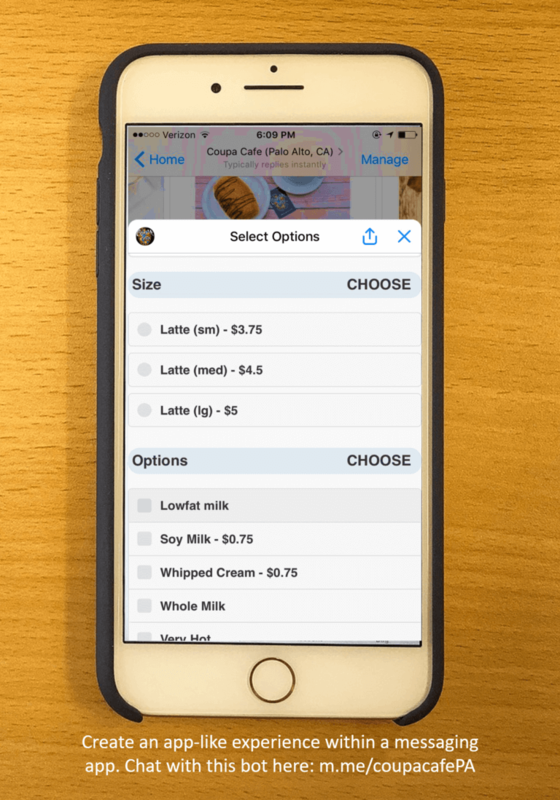 See how we do all of this on this chatbot for Coupa Cafe, a family-owned Venezuelan restaurant in Northern California. Often we’ll get asked, ‘I’m already working with so and so delivery platforms, do I need another platform to sell on? There is much to be said for these platforms. Their growth and proliferation, e.g. Amazon & Etsy (for products), Thumbtack (for services) and GrubHub and DoorDash (for food) has made it relatively easy to start selling online quickly. You don’t have to invest in for example, building or marketing your own website. Just upload your products (in the food space, sales exec’s may even do that for you) and you immediately start benefiting from their consumer base and marketing campaigns. But a chatbot isn’t another third-party platform. It’s a white-label product where customers interact with your business directly, establishing a personal connection. This is an essential part of building a brand identity. Thus your chatbot can help you build and promote your brand, which creates recognition (and as mentioned before, a personal connection) which in turn engenders customer loyalty. So add it to your digital repertoire as a complement to your existing channels or if you don’t have a website yet, skip it and go straight to selling online with a chatbot! Get our next post in your inbox! 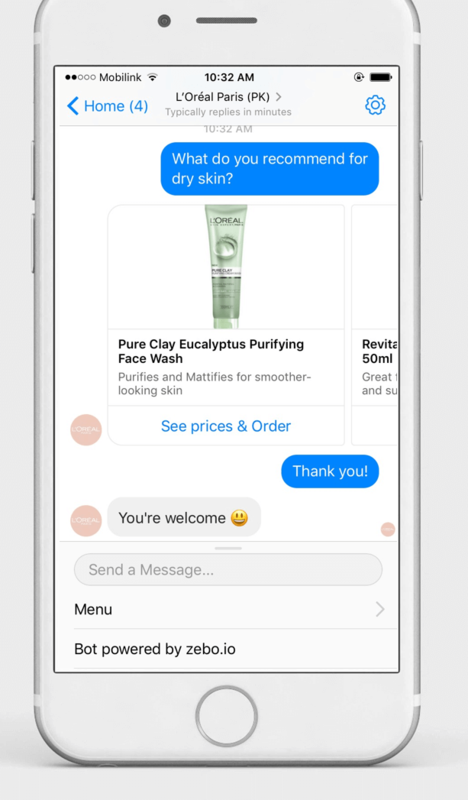 Recently, Facebook started allowing Messenger as a destination for ads. Such ads can enable personalized conversations between you and your customers, as well as more ongoing engagement. Set your ads to open in your Messenger bot so that you market, acquire and sell on a single platform! In the next post, I’ll be explaining how to both set up a Messenger ad and optimize it for conversion. As part of our mission to support small businesses, we’ve developed a rango a free templates for small businesses, ranging from ecommerce to lead generation and drip marketing. 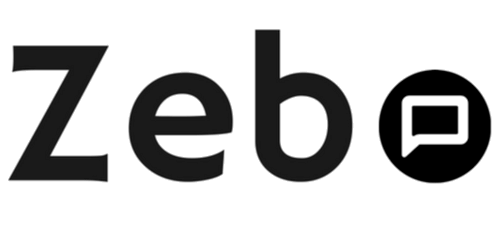 We also integrate with dozens of marketplaces e.g. Shopify and Bigcommerce, and have multiple output channels so you can choose how to receive and manage your orders! There are a dozen of tools where you can build a chatbot yourself (including ours!) for free, but taking out the time to do so, and then manage on an on-going basis can be difficult. Sign up here and an Account Manager will be in touch in 2-3 days to discuss your needs, priorities and the way forward. You should then have a chatbot ready to go live in 2 weeks! Ready to grow sales, cut costs and transform your business with a chatbot?